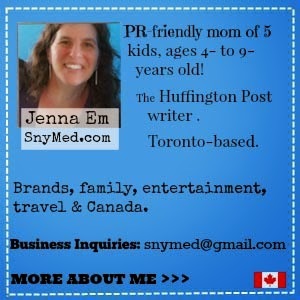 If you've followed my blog, you'll know that I'm the mom to 5 young children aged 2- to 7-years old! That means shopping: lots and lots of weekly shopping, and errands to fill in the gaps between shoppings. Gaps for us mean we've run out of milk, bread, peanut butter, mustard and/or night time diapers. My kids can drink more milk than a baby cow! 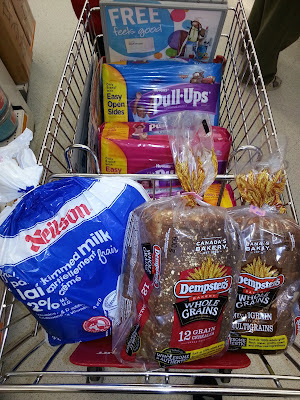 As usual I ran out of milk today, and decided to run to Shopper's Drug Mart for some more. Luckily I checked for bread before going, as I was also completely out of bread. 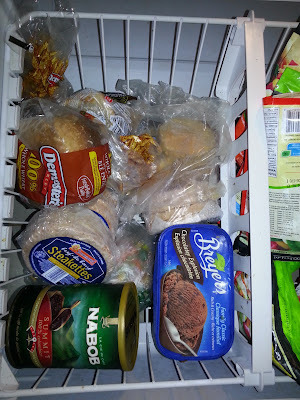 I also checked the freezer, and there were only bread ends left. Not enough bread to make 5 sandwiches for 5 hungry kids. 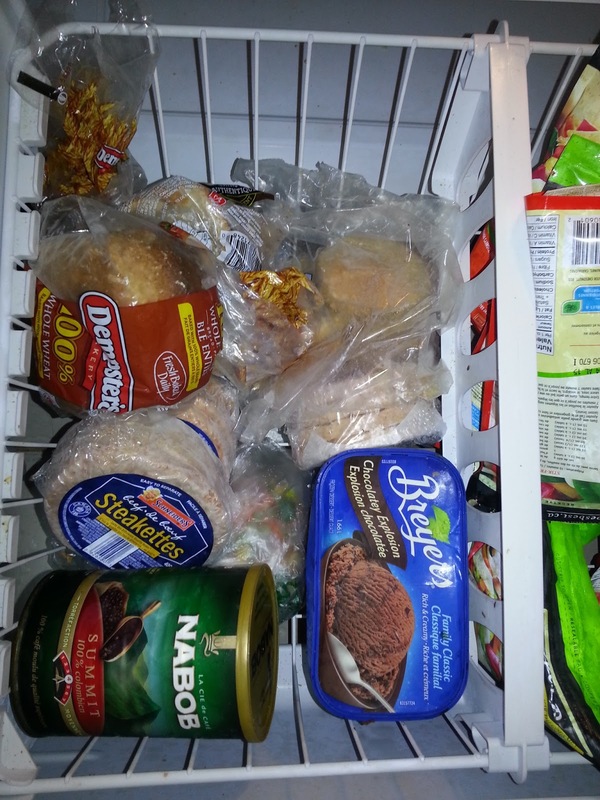 Plenty of Ice Cream, But Bread is Low! So I decided to run to my local Shoppers Drug Mart. I'm not joking when I say that I have 6 locations within a 5-minute driving distance of me. All locations have a grocery section, so I often go there to do a little grocery shopping, which is very convenient. 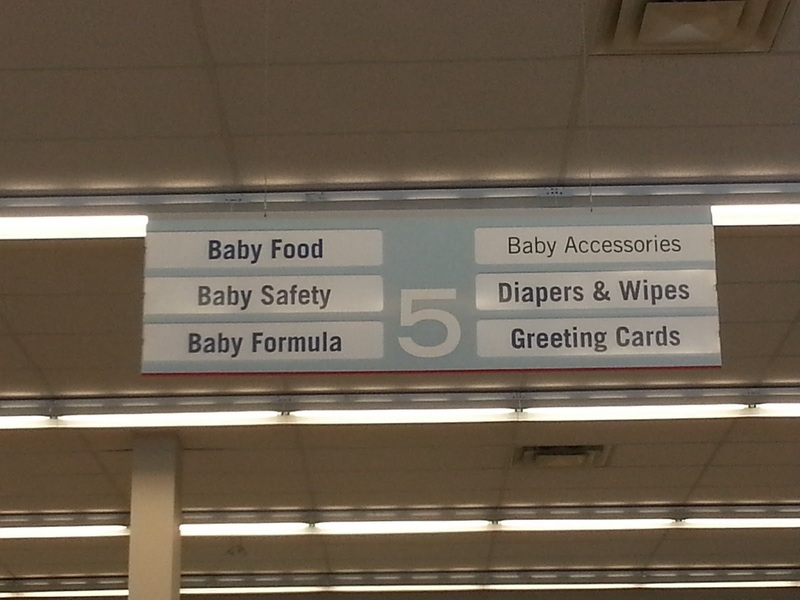 I regularly shop there for grocery essentials, snacks, pharmacy items, baby stuff, bath and body products, toys, magazines and books. They do carry a lot of merchandise that we require in order to run our busy household, and I love their extended hours. I got the boys into the car and they made this little video of their pre-trip. The Boys Excited for a Car Ride & a Trip to Shoppers! It was a quiet day for me with only two kids, instead of the usual five! The drive over to Shoppers Drug Mart took us only minutes, so it was a fairly uneventful drive. 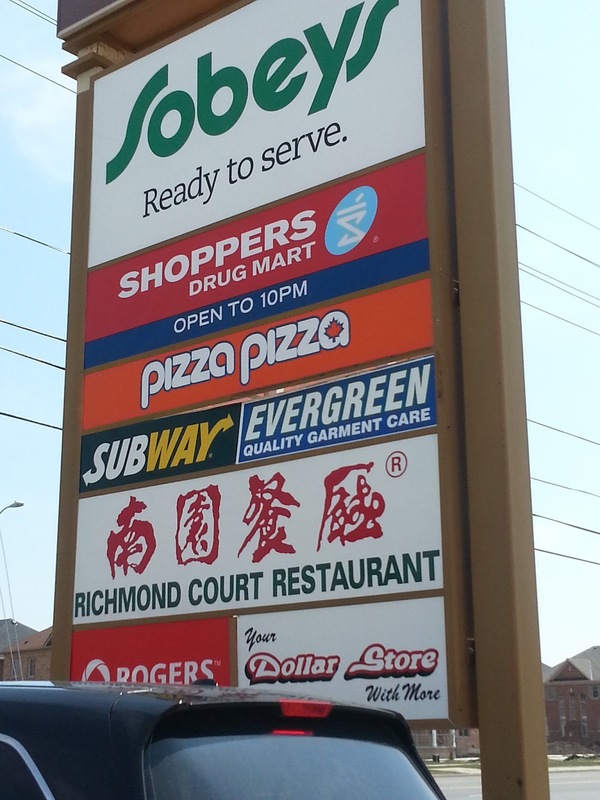 Our Shoppers is in a plaza with a Sobeys supermarket, Pizza Pizza, Subway and Roger's store. I love that our Shoppers Drug Mart is open late, as I can't tell you how many times we've come after hours to buy urgent medicine for the kids. It has been a big relief to us, and it's very convenient when all other stores are closed. We found lots of parking right away, which was great! With my two sons in tow, I like when the parking lot is manageable. The parking lot was not too busy, so we parked and walked over to the store. My older son started asking about the candy inside the store. Need Milk? Yes, We Do! As we walked up to the store, there was a sign advertising the milk that I needed to purchase. It was a great reminder for me, as I have often left the store without buying what I had originally intended to. What an added bonus that the milk was on sale! 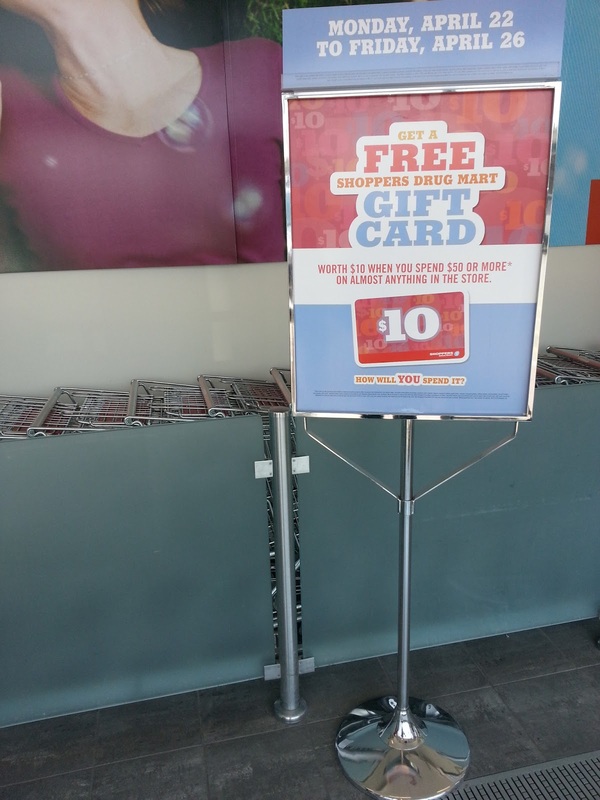 Get a $10 Gift Card When You Spend $50 At Shoppers! Once inside the Shoppers Drug Mart, I saw this sign for a $10 gift card when $50 is spent in-store. I didn't think that my purchases would total $50, but I filed this information away for later. 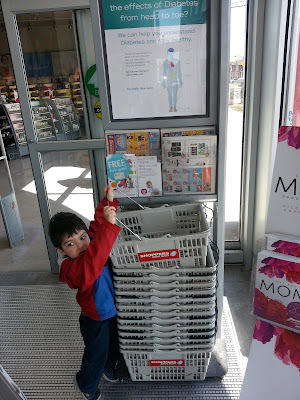 My son reached for a shopping basket, but I reached for the Shoppers Drug Mart weekly flyer, and decided on a shopping cart instead. Maybe I would be purchasing more than $50 in products after all! 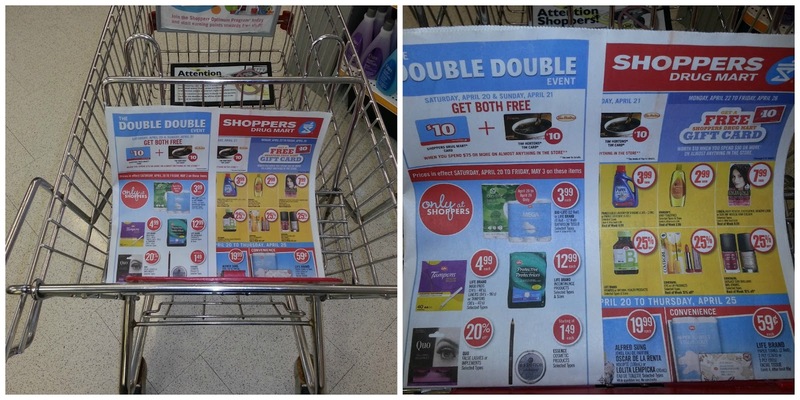 I put the flyer in my shopping cart and started to look through the advertised specials. 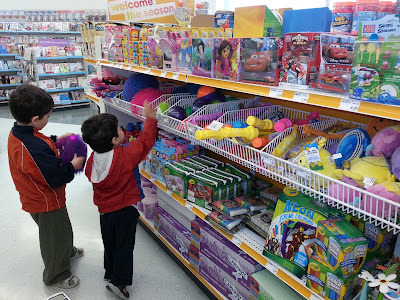 With my boys ready to tear through the store, I only had a few moments to glance through. Bingo! Guess What Was On Sale? 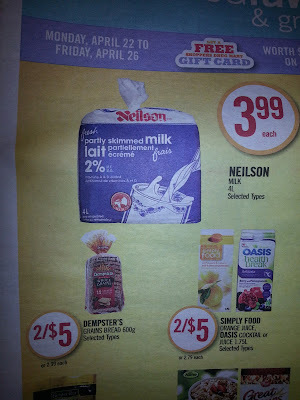 In the flyer I spied the bread and milk that I was looking to purchase. Bingo! Both were on sale, so I decided to stock up a bit more. I was originally going to buy one loaf of bread, but decided on 2 loaves that were priced 2 for $5. Look What The Boys Found! As usual at Shoppers Drug Mart, the boys found toys that they begged me to purchase. I had to sadly decline, as they already made me purchase the very same on a previous trip! 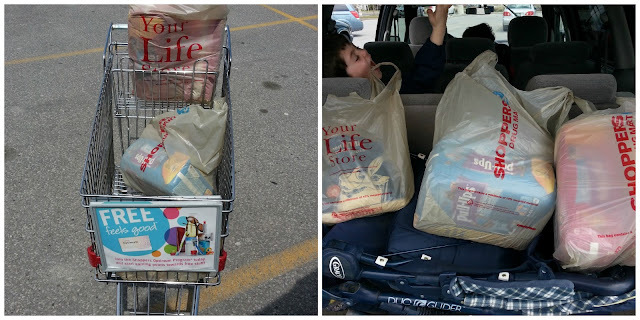 We made our way to the grocery aisle, as the boys touched toys and candies along the way. In the refrigerated section of Shoppers, the milk was clearly marked with the sale price. 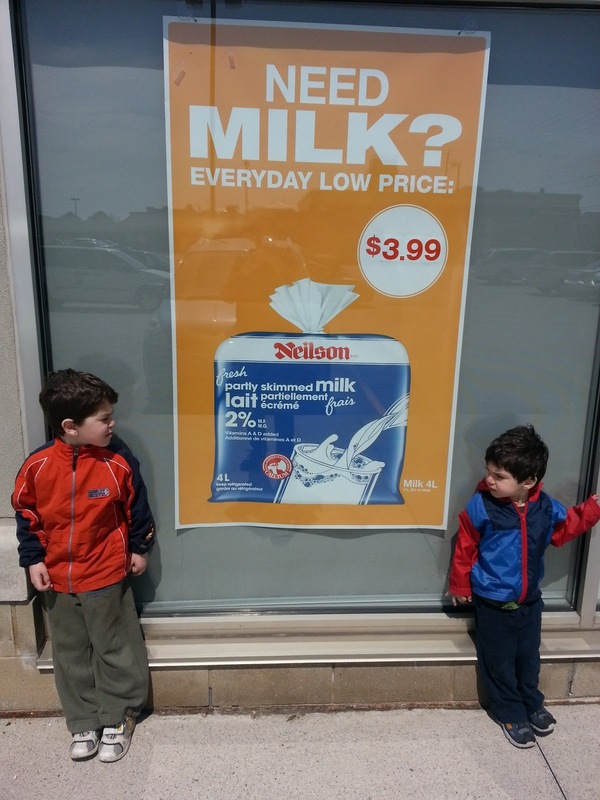 My sons helped me get the milk into my shopping cart. My littlest guy begged for me to buy orange juice, which he tried to put into the cart without my permission. Sneaky for a 2-year old! 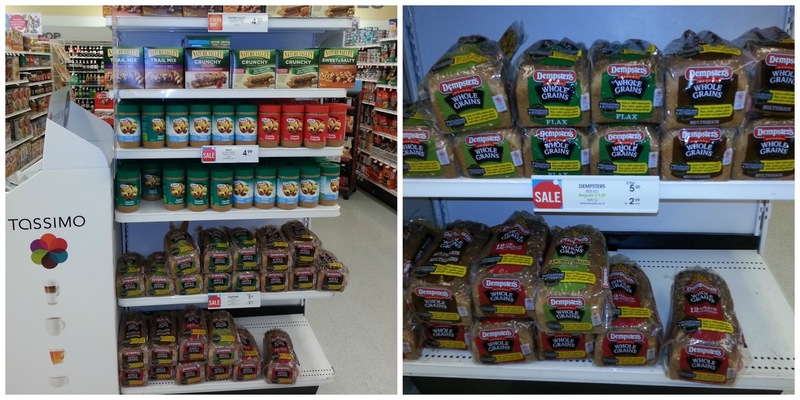 We found the Dempster's bread that was on sale 2 loaves for $5.00, which was conveniently located on an end cap. They had to display it with peanut butter and snack bars, which caused more begging from the boys. The boys found more toys, and made a beeline for the section. 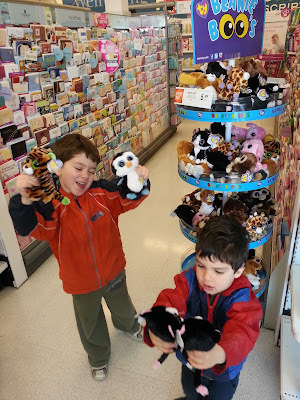 Needless to say, there was more begging and each boy carried around a big, squishy porcupine toy ball throughout the store! 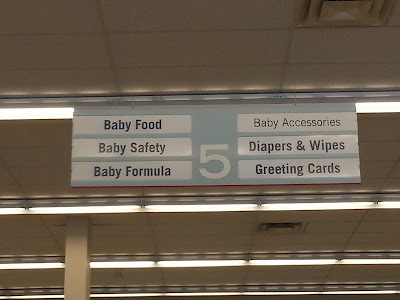 Thank goodness I remembered that we were almost out of night time diapers, so I retraced my path to the baby aisle. I'm always filled with remorse when I leave a store, and then remember there was something else that I had to buy. Check The Sale on Pull-Ups! 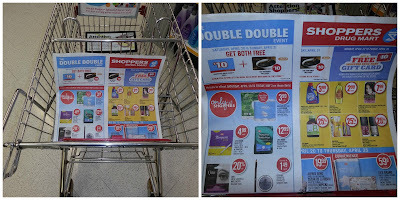 I had not browsed the Shoppers Drug Mart flyer for Pull-Ups, but check at my score! A package of 44 pull-ups for only $14.99, usually priced at $27.99. They were blowing them out. I bought 3 packs, score! The boys were getting a little bit restless, so I decided to end our trip. Luckily no one was sick, so we did not visit the pharmacy this time. 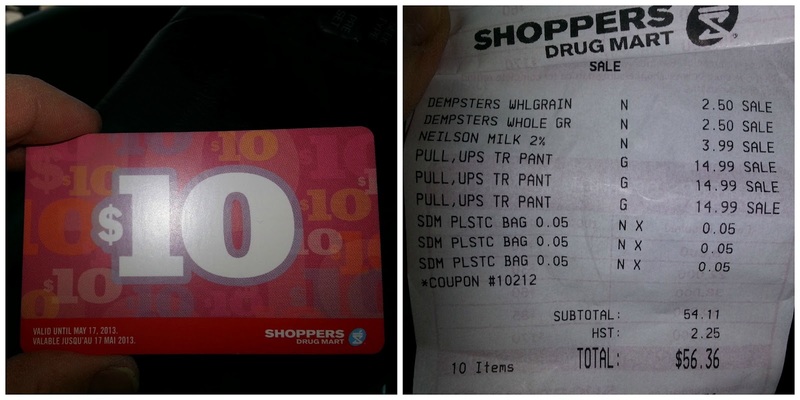 Look What I Got From Shoppers Drug Mart: a $10 Gift Card! No one was in front of me when I went to check out of the store. Thank goodness, as the boys were grabbing at the candies by the register. The cashier rang through my purchase, I paid, then she handed me a $10 Shoppers Drug Mart gift card! I was really surprised about it, although I had noticed the signage in-store advertising the promotion with a $50 purchase. After stocking up on Pull-Ups, I was now at $56.00, and eligible for the promotion. The gift card entitles me to $10 off a purchase of $10 or more, sweet! I left with my purchases just in time, as the boys were getting loopy. I loaded up the car and went to pick up my other kids from school. As I pulled out of the parking lot, I realized I should have purchased a second bag of milk. And I was right: the kids drank most of the milk already! See you again tomorrow, Shoppers! 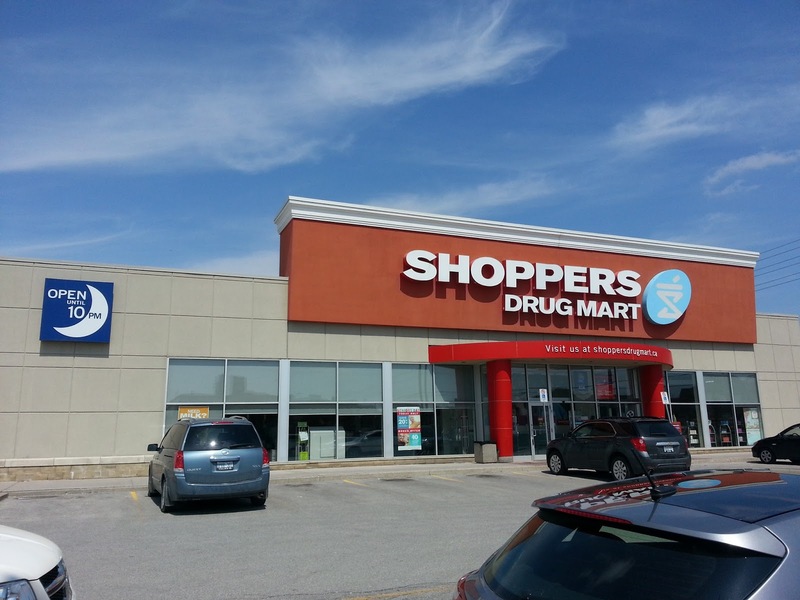 Do you like to shop at Shoppers Drug Mart? What do you usually buy at your location? My kids love to shop at Shoppers Drug Mart because of the size of the little carts!!! I love it because of the variety of items and yes, the price of milk is always good too! Oh, the little carts! My boys are all over that, Multi-Testing Mommy! Our Shoppers only has a small grocery section and being in Atlantic Canada I have never ever seen milk that cheap. But they do have dairy and I always find a good deal there. Nicolthe pickle, you're absolutely right: I always leave with a couple of great deals! Gingermommy, wise of you to use their loyalty card! I have one and never remember to bring it with me. Brandi, I totally agree! Our Shoppers is open even on holidays, so it has been super convenient! I love SDM. It was actually my 2nd job and I hold a soft spot for it still. Milk is always the best price there, actually I am surprised by the sales most weeks. The points make it all the better too! Great pictures! Thanks Tammy! When SDM first introduced their grocery aisle, I was surprised by the awesome sales. It makes me feel like I get great value there. I love Shoppers! 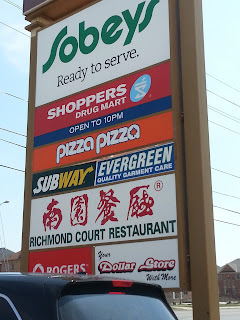 There is one next to my work and one very close to home and I often find myself popping in for little things like milk, medications, cleaning supplies, etc.. The prices are awesome! I also love the fact they carry some items (like certain cosmetic brands) that you can only find in specialty shops.. 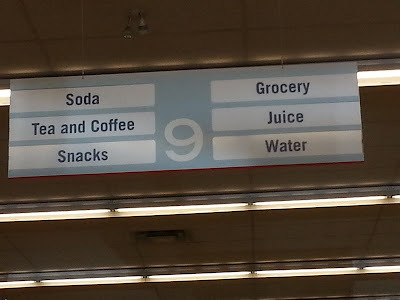 I love all the variety and selection at Shoppers! we Love shoppers too! And are currently planning a trip to shoppers today, for some much needed medications! I love shoppers too! If you had to dump me at a store for an hour or more, I would pick shoppers. There's food, cosmetics, medicines, snacks, toys, etc. Can I make a comment about your bagged milk? When I saw the picture, it totally brought back childhood memories. 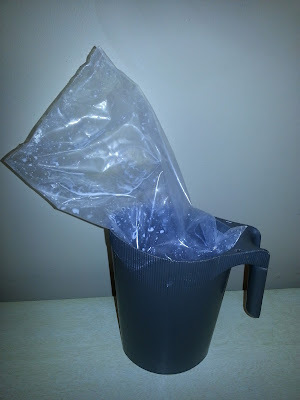 We grew up with bagged milk. Now, out west we only have jugs. You could not find bagged milk anywhere near where I am!